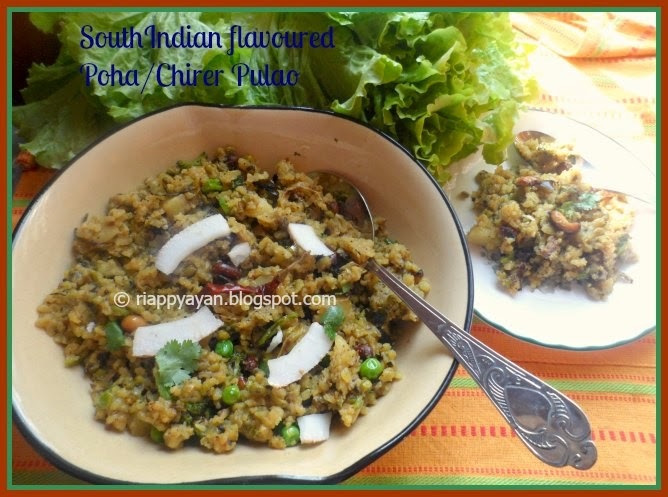 We Indians love Poha or beaten rice very much, specially for our breakfast. There are many reasons for the love it gets. It can be prepared very easily and is highly nutritious as a lot of veggies can be added to it and make it a healthy breakfast item. In different states of India, poha is made in different ways and is a staple breakfast item in many households. 1. It is packed with iron....eating poha regularly can prevent iron deficiency or anaemia as it contains 20 mg of iron in every 100g raw rice flakes. Children as well as pregnant and lactating women can benefit greatly by consuming it. 2. 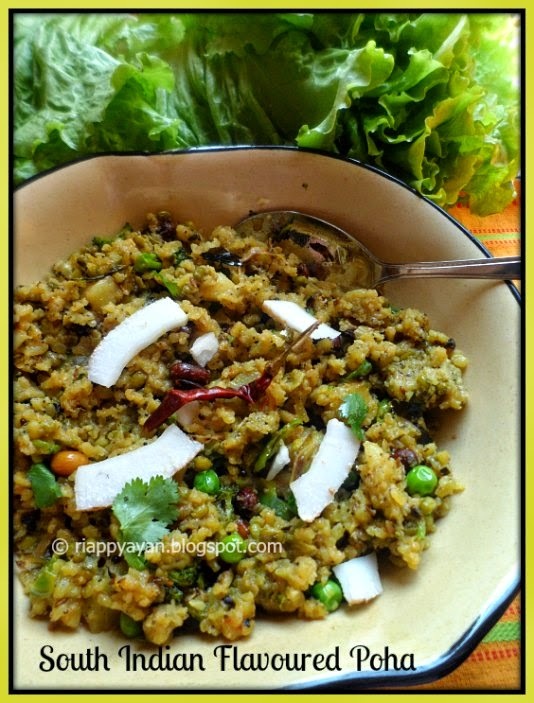 It's a good source of carbohydrate.....Carbohydrates are the major source of energy in a bowl of poha. This makes it a perfect breakfast option. It can be eaten for snack too in the place of unhealthy options such as chips and biscuits. 3. Ideal for diabetics.....Poha is considered to be a great meal option for diabetics as it promotes slow release of sugar into the bloodstream. It also keeps you full for longer time. 4. It can be a complete meal......Mixed vegetables can be added to rice flakes to make it rich in vitamins, minerals and fibre. Add sprouts, peanuts and even boiled eggs to make a well-balanced and high-protein meal. So, I've included enough reason to include Poha at your breakfast menu if you are still not having it in your diet. I prepare them at least 2-3 times a week and I always add lots of veggies in it to make a healthy as well as filling breakfast which helps me to roll my day smoothly. 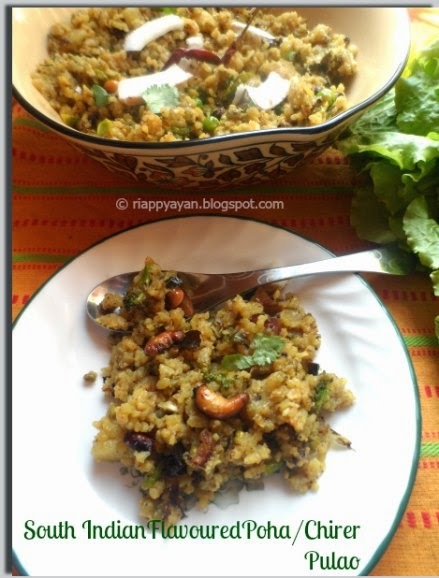 Poha/ beaten rice : 500 gms. Mustard seeds : 1 tblsp. Oil : about 2 tblsp. Firstly, chop all the vegetables in small chunks except green peas. Heat oil in a pan, add raw peanuts first and fry them until they are fried, takes about 2-3 minutes, then add cashews and fry until they are brown. Keep them aside. In the same pan, add vegetables and in low flame saute them until they are just done, remove and keep the veges aside. In the same pan, add just 1 tsp. oil, fry the chopped coconut pieces till they are lightly brown, then temper the oil with dry red chilli, ginger and green chillies, mustard seeds and lastly with curry leaves and poppy seeds. Clean rice flakes/poha nicely with water, drain all the water and immediately add into the temper. Add fried vegetables, green peas, green moong dal and nuts, mix well everything. Add salt, turmeric and red chilli powder and mix again. It should not be on heat for long time, otherwise poha will be mushy. Add a pinch of sugar(it balances all the taste of the dish). Stir and mix everything quickly and remove from heat. Sprinkle some fresh coriander leaves and serve immediately. Garnish with some extra coconut slices and you are good to go. It can be an awesome evening snack or lunch box recipe for kids as well as for office goers. 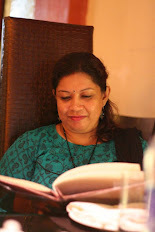 It can stop your hunger pangs for long time and you can concenrate on your work. Isn't it?